We’re going to take a much closer look at the different stropping mediums on the market in this installment. As mentioned previously, a strop is just about anything that is used in the final stages of sharpening and maintaining that isn’t classified as a stone. Clean strops have no real abrasive action and primarily serve only to reposition a bent edge. 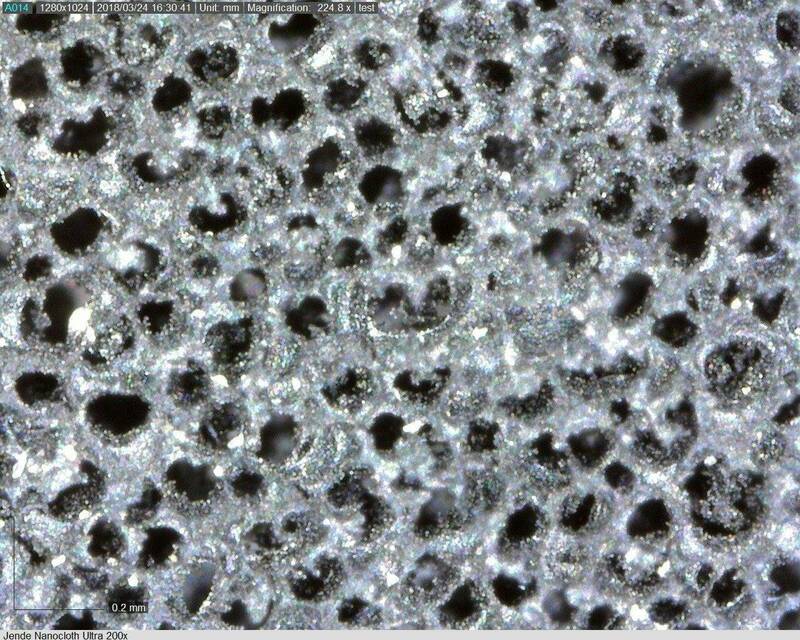 Once you add abrasives or load them, the microscopic structure of the stropping medium will play a more significant role in abrading an edge while also repositioning it – which will be discussed in the next installment. Since there are a wide range of materials that are used as strops, I thought it best to arrange them into three distinct groups: Leathers, Fabrics, and Others. I will present the pictures with some short intros and then compare their features in a short discussion section. Before we continue, first the obligatory experiment details for those interested in carrying out their own microscopic adventures. There are 2 resolutions of each type of stropping medium: a 20x which is approx 6.75mm x 9.50mm, and a 200x which is approx 1.25mm x 1.75mm. 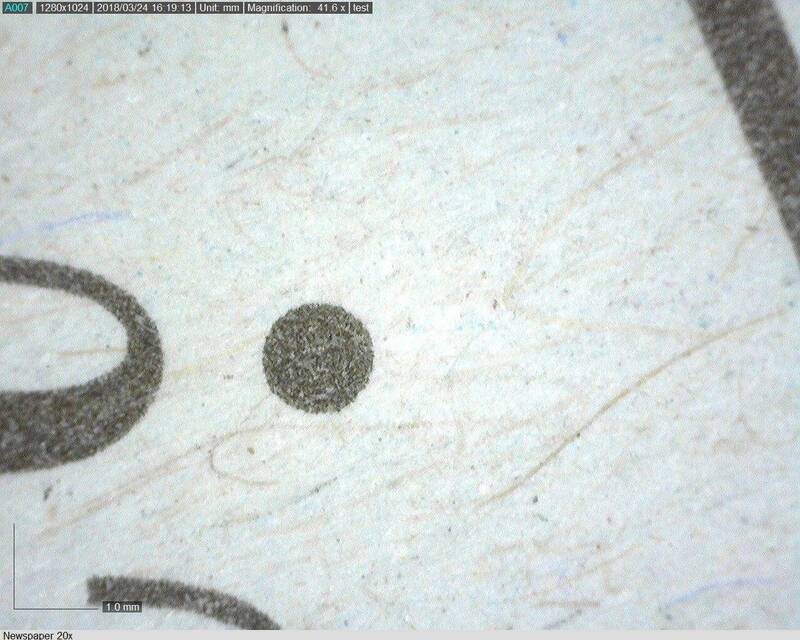 You can see the bar on the bottom left corner of the pictures which gives you a reference measurement of 1mm for 20x and 0.2mm for 200x. The 20x pictures were taken first, followed by an immediate zoom to 200x in the same position. Some light, color and contrast filter adjustments were used in order to better highlight some of the mediums, but no other enhancements or photo altering was done. 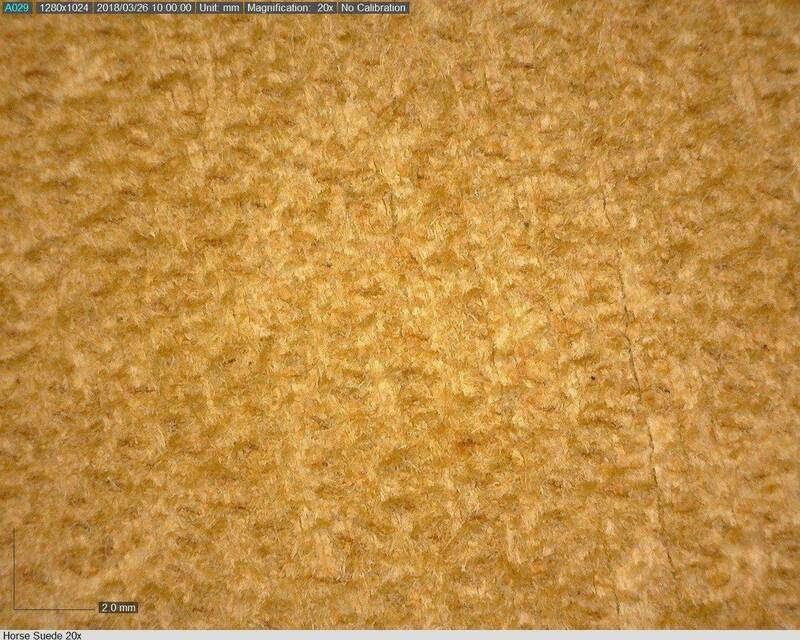 The microscope used is a Dino-Lite USB Scope model AM4113T. OK Alice, down the rabbit hole we go! Since Cow leather is probably the most widely used stropping medium, we shall start with that. Most common cow leathers for stropping is probably veg tanned leather. Veg tanned cow leather strops tend to be bumpy, like sand dunes or ski moguls. In the pictures below, you could describe it as almost scale-like. 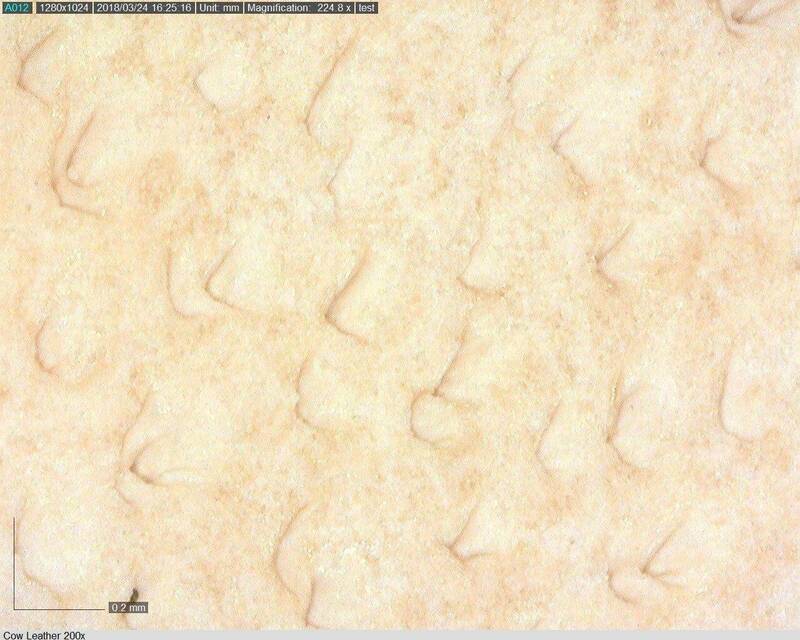 The raised pointed ridges in the leather are what do the pushing of an edge, and the relatively large bumps are what make stropping on cow leather effective. Next up is Kangaroo leather. It, too is veg tanned, but there is a very different surface to cow strops. Kangaroos have individual hair follicles, like humans. 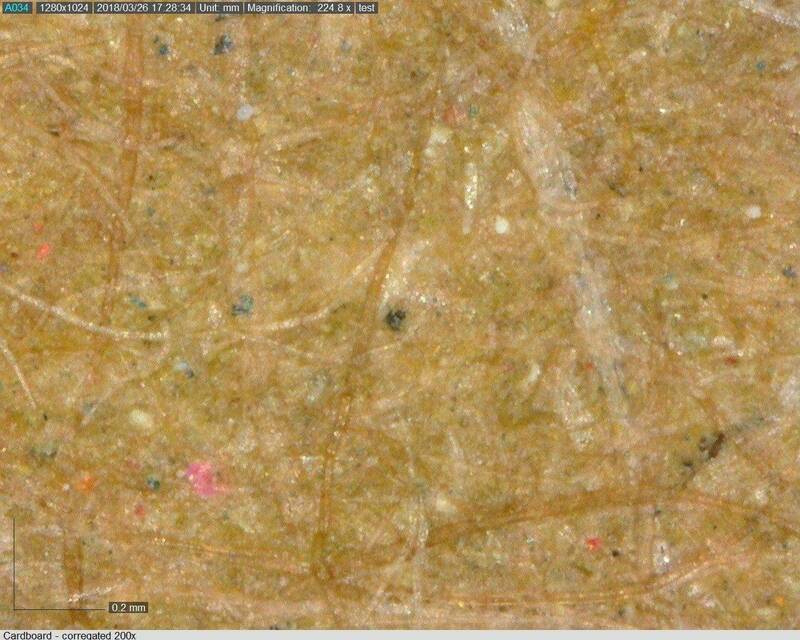 The overall surface is quite homogeneous with the occasional hole where the hair once sprouted from. 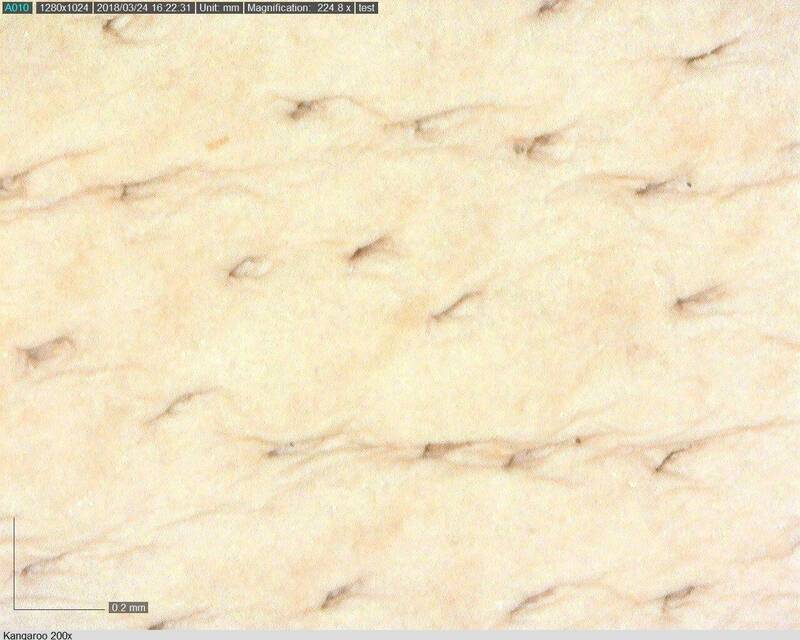 This makes Kangaroo leather a smoother medium overall since it has less surface variation. Last up in our leather category is Horse leather. Since I do not own any veg tanned horse leather, I took a picture of the suede side of a horsehide strop. It is a rougher version of what the veg tanned side would look like (it also kills two birds here, as the suede side of a stop is often used for rougher stropping). In the 20x shot, you can just about make out the raised plateau-like features that are flatter and more squarely arranged than the cow leather. 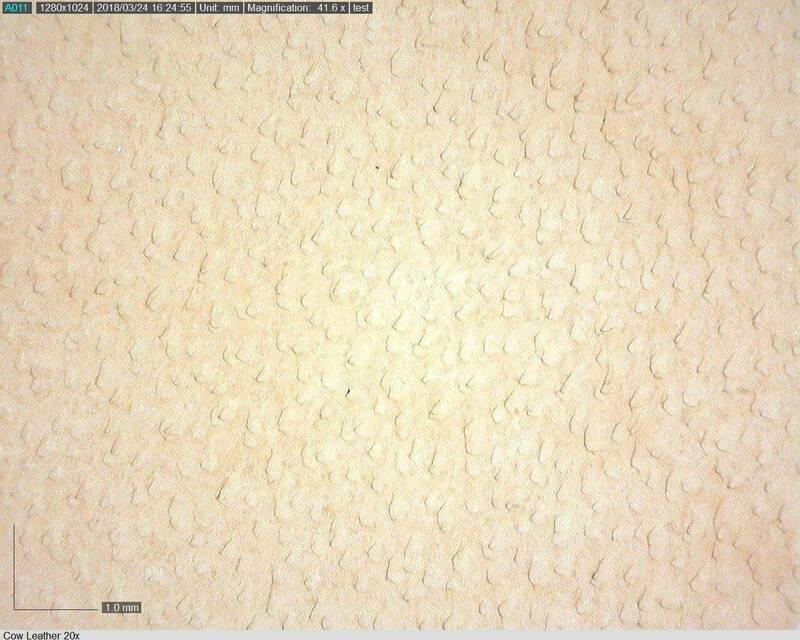 Once shaved down, the surface is ultra smooth and consistent and resembles the Utah salt flats. 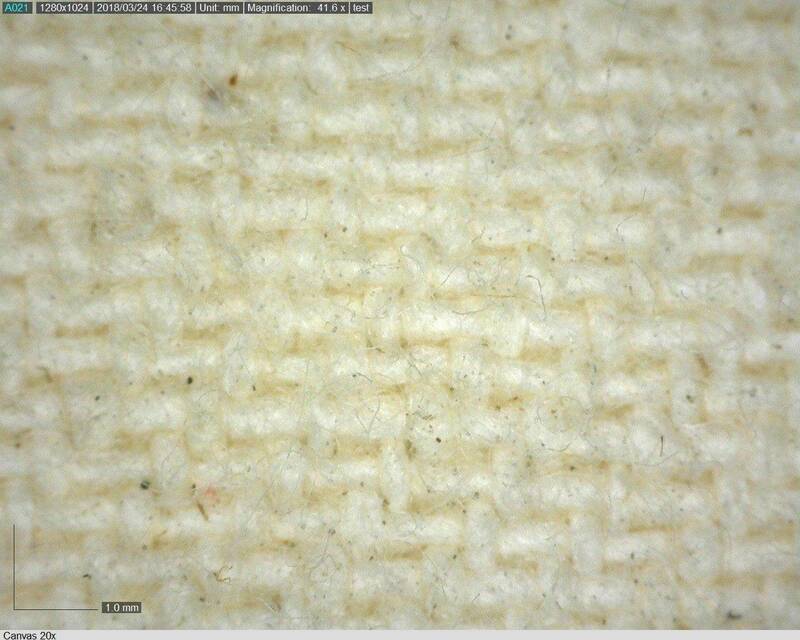 The 200x picture is almost too close for comfort here – notice the fibres that make up and stick out of the raised areas – it is a characteristic of suede which some people prefer. We will see a treated leather strop later. Next up are the Fabric strops. There are many fabrics in use as strops, and they all basically boil down to being some sort of woven, fibrous material – except for felt, which is pressed. 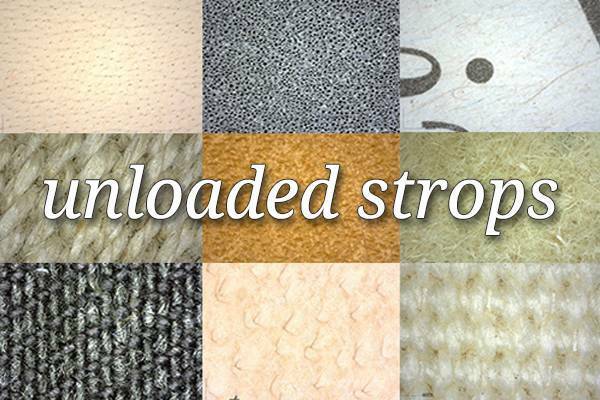 What is most interesting in this area of strops are the variety of weaves that exist, and we can almost instantly see how that could influence stropping. 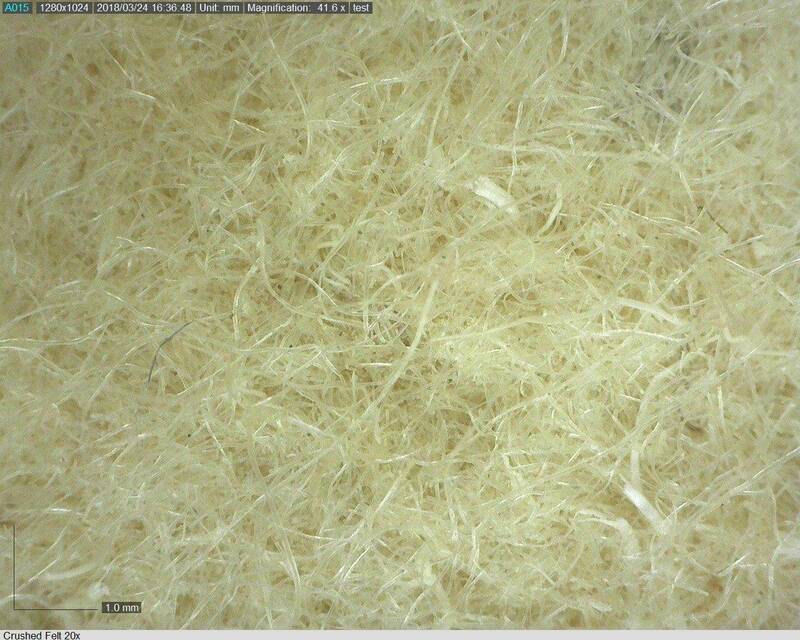 Felt, more specifically, crushed felt is the “simplest” of fibrous fabrics. 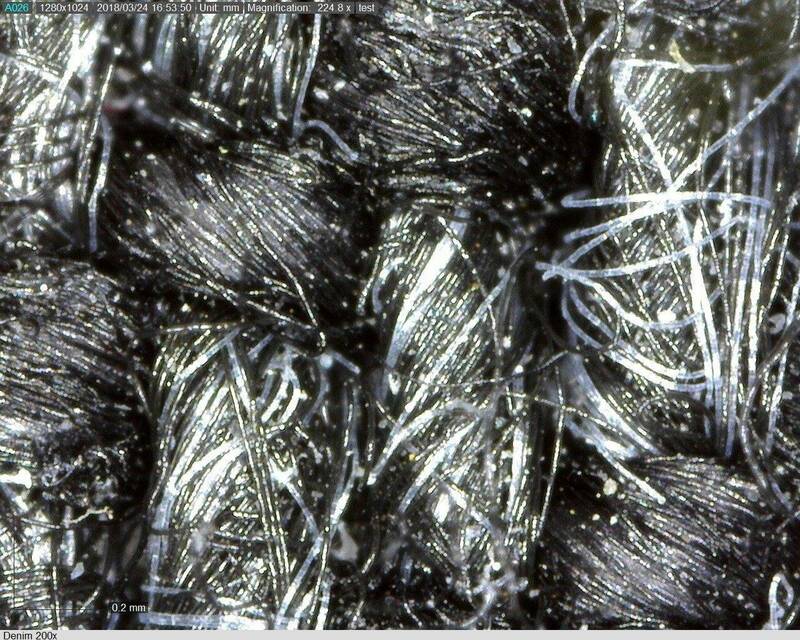 It is basically wool threads that are compressed into a shape rather than spun into threads and woven. Felt basically looks like nests made of straw. The loose fibres are able to conform freely to just about any shape, and generally has the most depth and compression of all the strop materials. 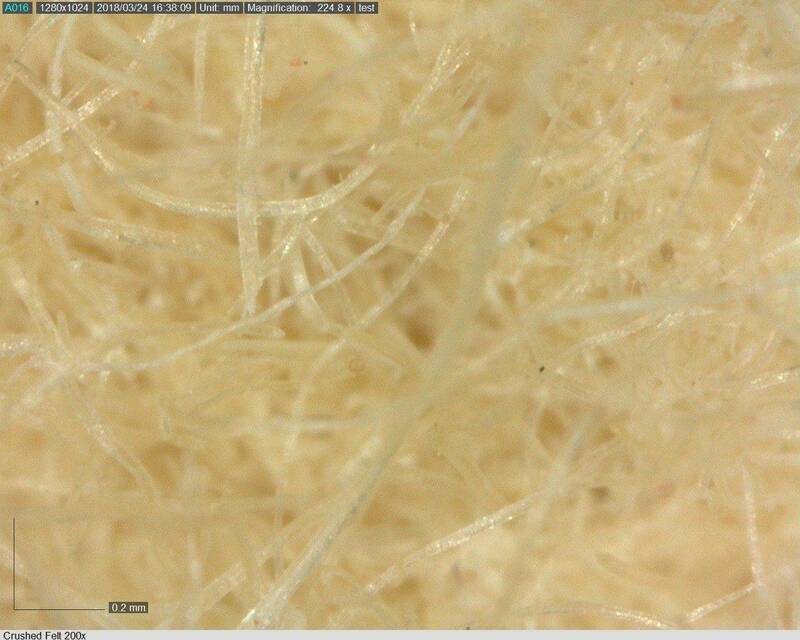 From felt, we see our first woven material. 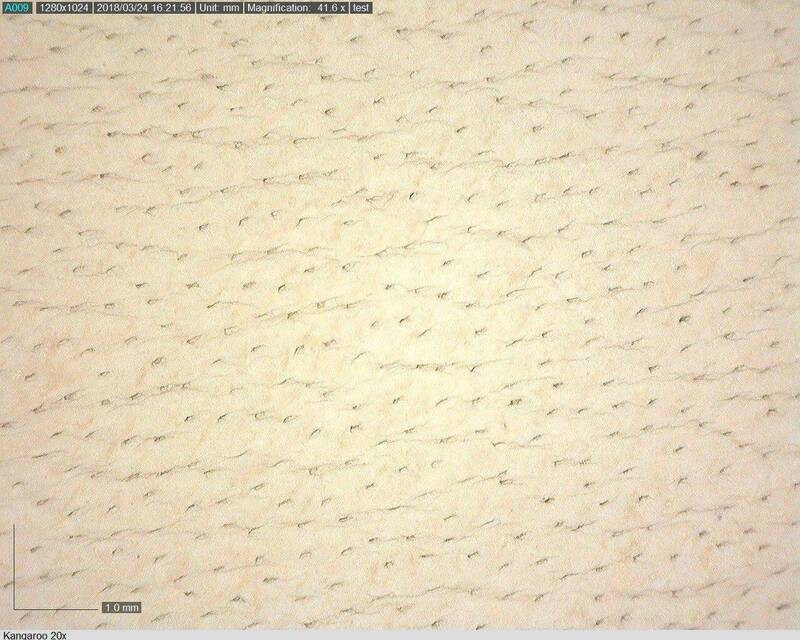 Canvas is the most common stropping medium found accompanying a leather hanging strop for razors. Traditionally, the canvas is used to clean the razor of any microscopic rust while realigning the edge. When loaded, it becomes a time tested maintenance tool. To the naked eye, this is a used, clean, well maintained strop, but the scope reveals specs of dirt and debris that got lodged in the weave over the years. Looking more like a series of pipes overlapping each other, there is a pattern that emerges, and like the different leathers, the high and low points will influence the stropping outcome in different ways. 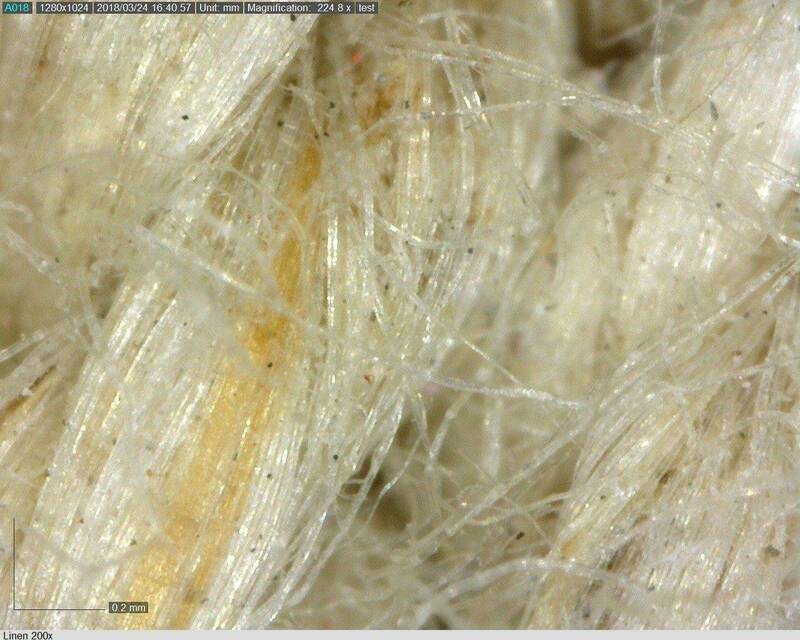 The fibres that make up the thread of the canvas strop can be seen. 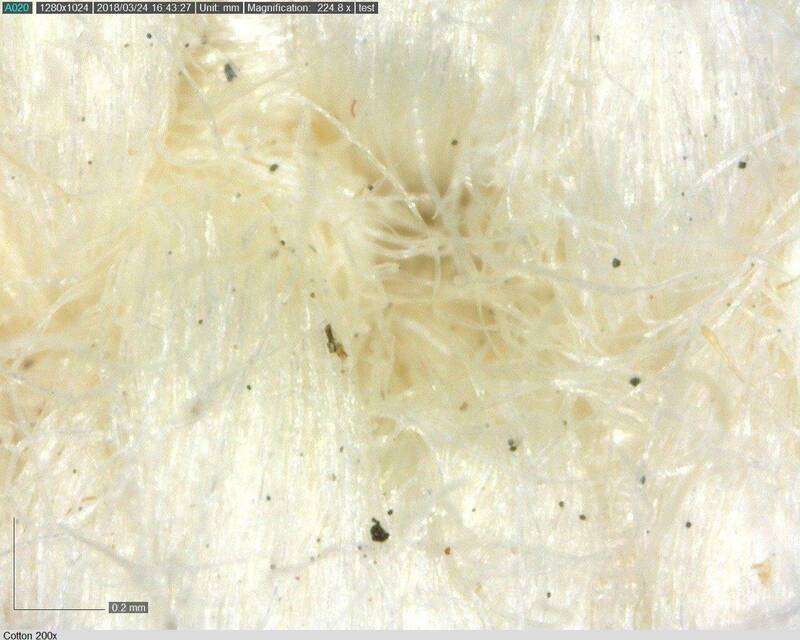 Note how the more lose fibres seem to hold the specs of dirt and debris. This plays a major role later. 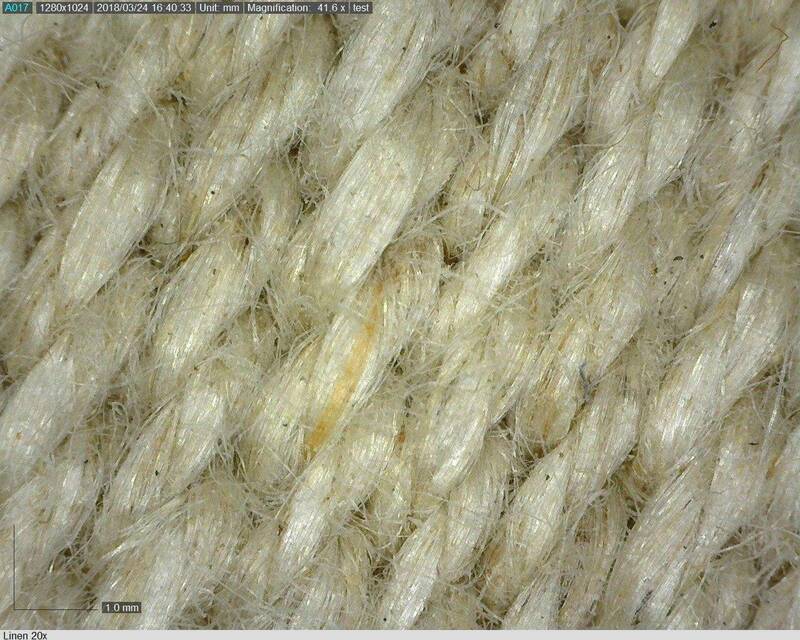 Cotton and Linen strops share similar weaves and fibrous qualities, as seen below. 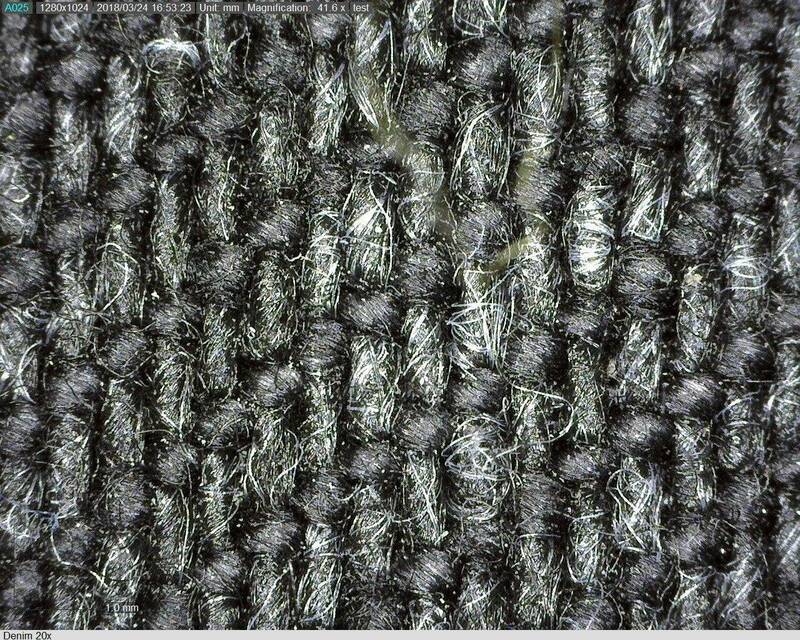 Note the different weave patterns. 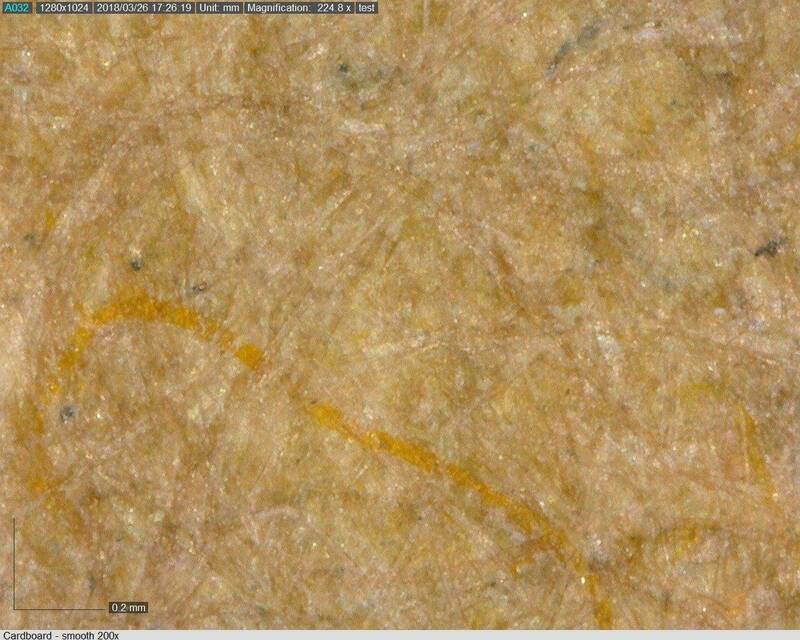 The cotton has a very defined over-under structure while the canvas looks like a bunch of interwoven ropes. Demin is up next, and we will see why it makes jeans so darn durable! There’s a lot going on with the denim here. 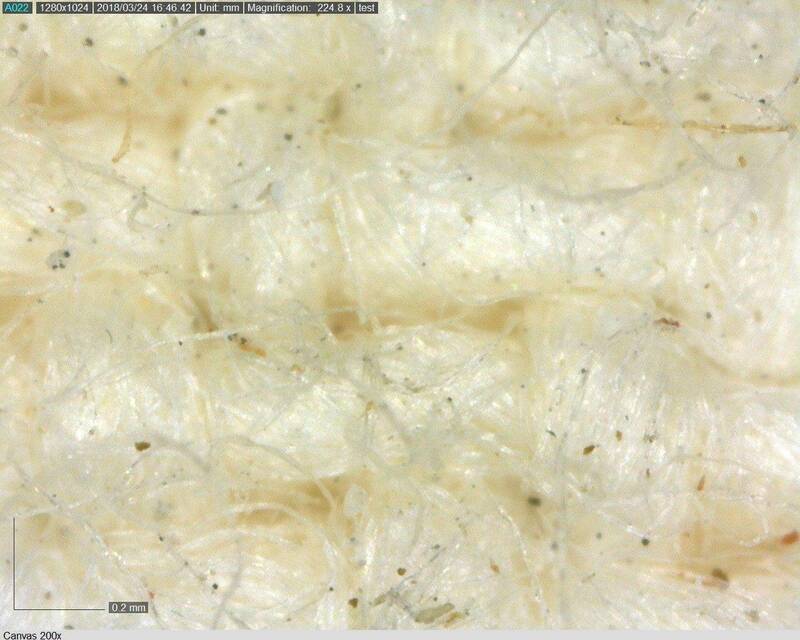 Aside from looking like some kind of nest of bee larvae, the fibres are spun together tightly, and woven even tighter still, not to mention the diagonal lines that the other fabrics don’t share. No wonder jeans are so difficult to rip! That brings us to the final category of strops, which are other materials that are actually quite mainstream, but just not made from hides or woven materials. 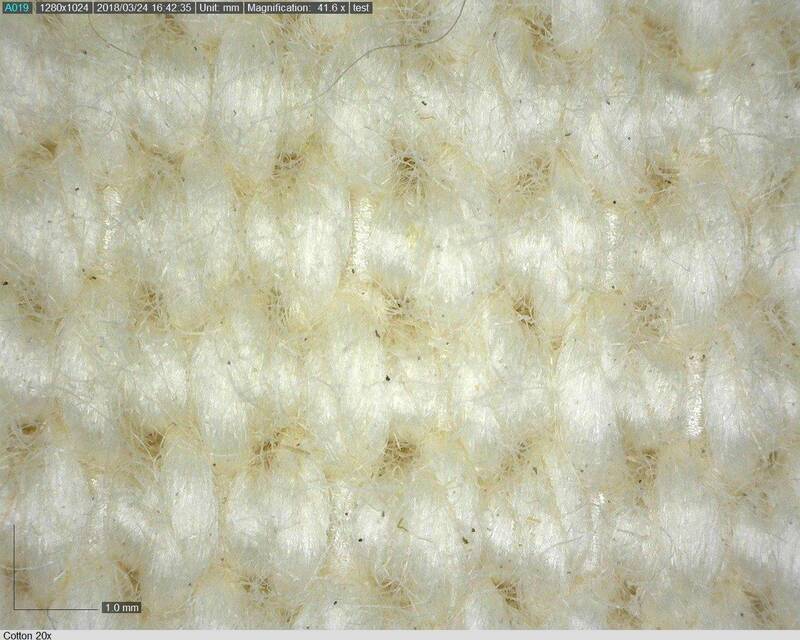 First up is Nanocloth. 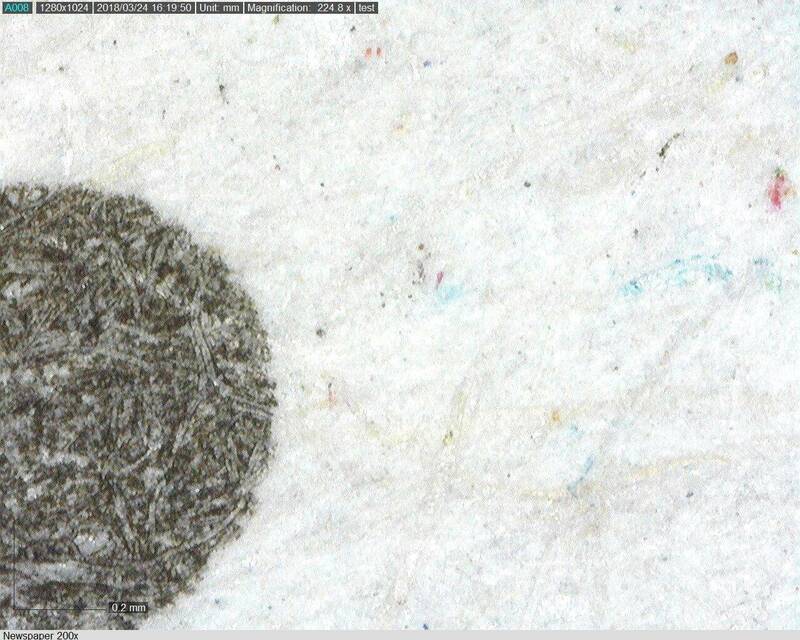 Some nanocloth strops are made with fibres, and are basically better engineered and organized versions of crushed felt and look more like a carpet under the scope. 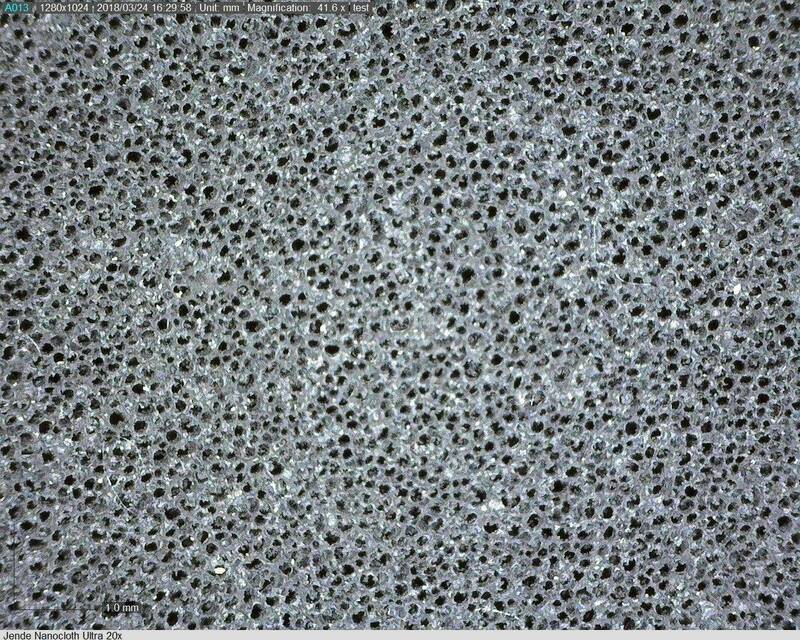 The one pictured here is a synthetic columnized honeycomb structure which stores abrasive for use. 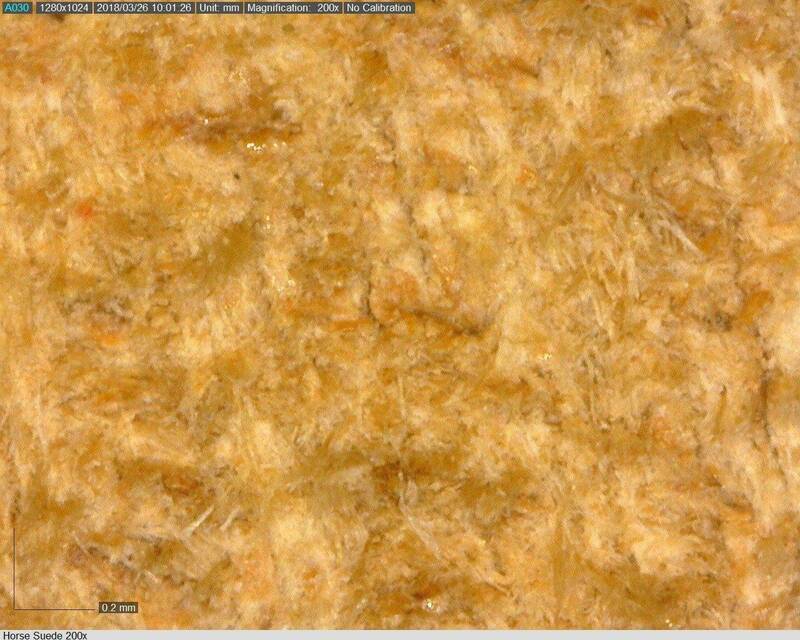 Nanocloth resembles a sponge like beehive, but it not porous, it is a housing for abrasives. This technologically advanced material is unique amongst stropping mediums. The remaining two strop materials are often highly debated, yet still get plenty of use: Newspaper and Cardboard. 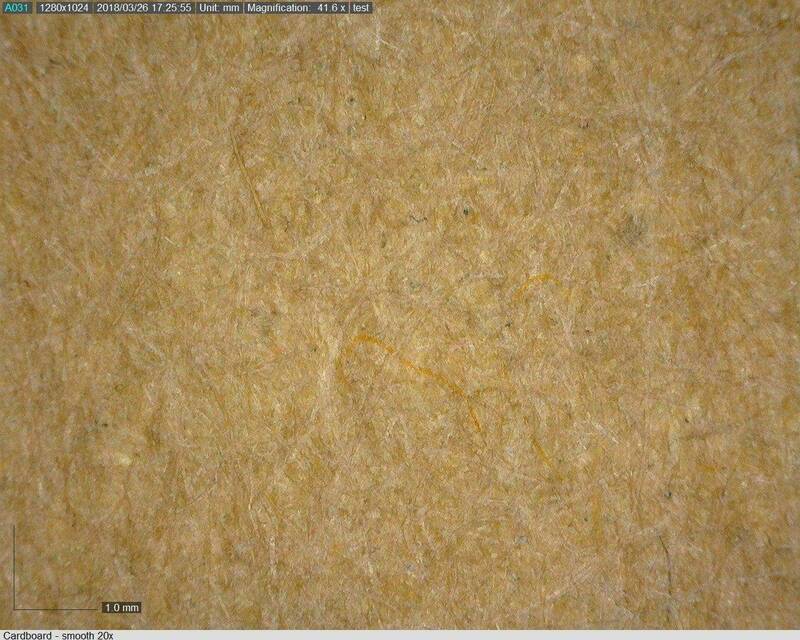 We can see that newspaper and cardboard are technically pressed fibrous materials, but it is not the same as the fabric strops since there is no weave, and not the same as felt because it is clearly more 2 dimensional. Newspaper is pressed pulp, but there is some historic strop lore that stems back from when newspaper ink was made with soot, graphite, and other solids and minerals that could have abrasive tendencies. Now days, most newspaper ink is soy based, so the best use for most modern newspaper is as a edge aligning medium and an abrasive matrix, which we will touch on again later. 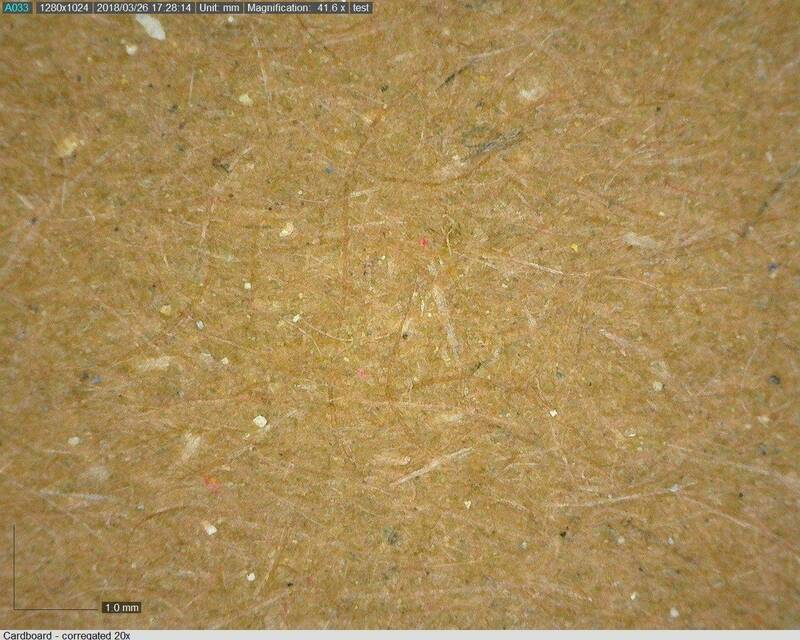 Cardboard is basically the canned spam of paper in terms of composition, and depending on the quality of the cardboard, might have a few extra solids included that were found lying on the floor. Below are two different qualities of cardboard. In the end, however, like newspaper, cardboard is probably better as an edge aligning medium and an abrasive matrix, not as an abrasive medium itself. Owner of Jende Industries. I am proficient in sharpening knives, woodworking tools, scissors, specialty edges and straight razors with just any about kind of sharpening stone or system – mechanized or manual. Very excited to jump in the Rabbit Hole. Thank you Tom, for this much needed treatise on stropping. I am looking forward to the journey.